Known as the "Open Market", today Joymax shows us the future of the stalling. I hope it makes the server traffic a bit less denser. 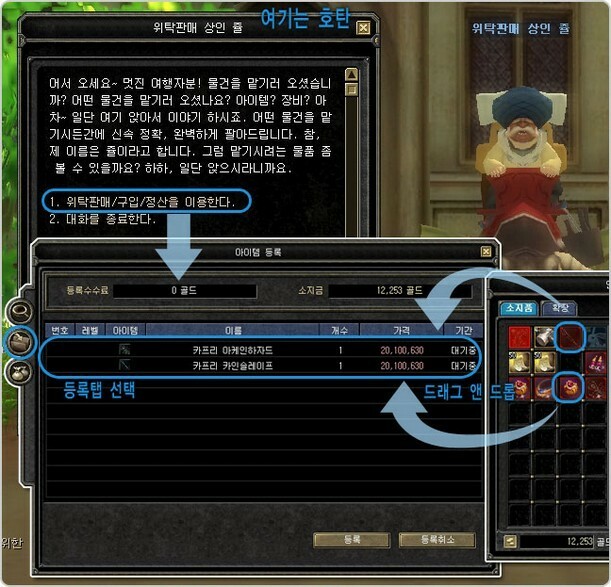 1) A new NPC called "Jule Consignment Merchant" will be added, which shows the UI seen above. * For an active exchange of goods with the consignment is expected to designate an NPC for each town. 2) Drag an item to the "Registration Tab" to register the item with the others which are already consigned, and set a price for it. 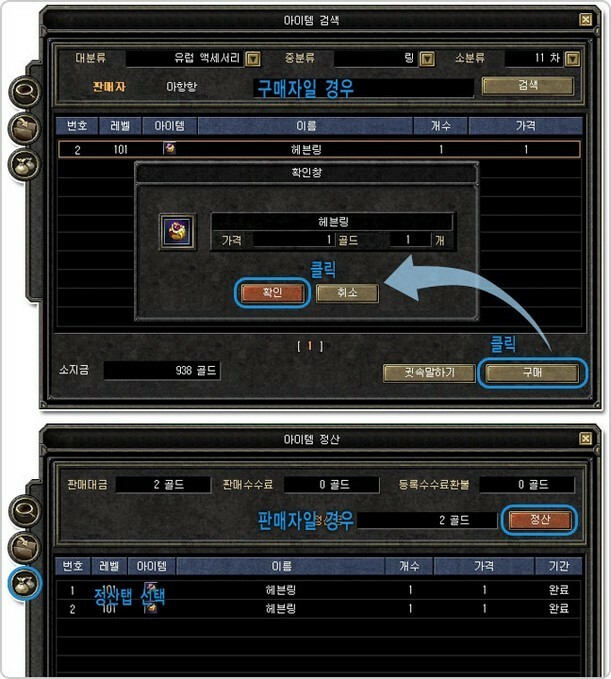 3) Once the item is stored on the server, your character can do different actions. 4) The number of the registered items and the time for do it will be different for each one. 1) You can search for an item in the same way as you do it on the Stall Network. * Choose a category first for enable the search. 1) When the buyer finds the desired item, he must press the "Buy" button and confirm it. Then the seller will receive a notice about his item got a buyer automatically. 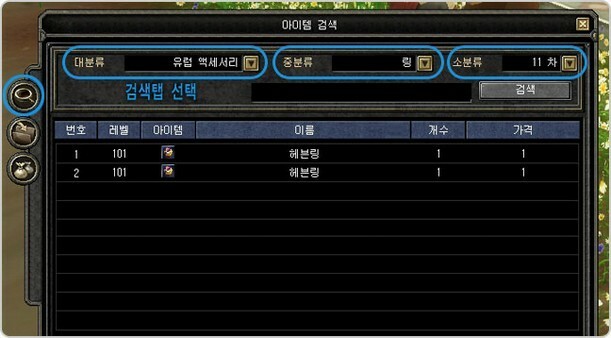 2) When an item is sold, the gold must be requested from the seller in the "Selling UI". When he did this, he gets the gold in his inventory. 1) The consignment system will have an small fees for the usage of it. 2) The number of consigned items and the fees are going to be decided soon. 3) This new system is expected to enhance the activeness of the system and it should be the end of the Stall Network system. 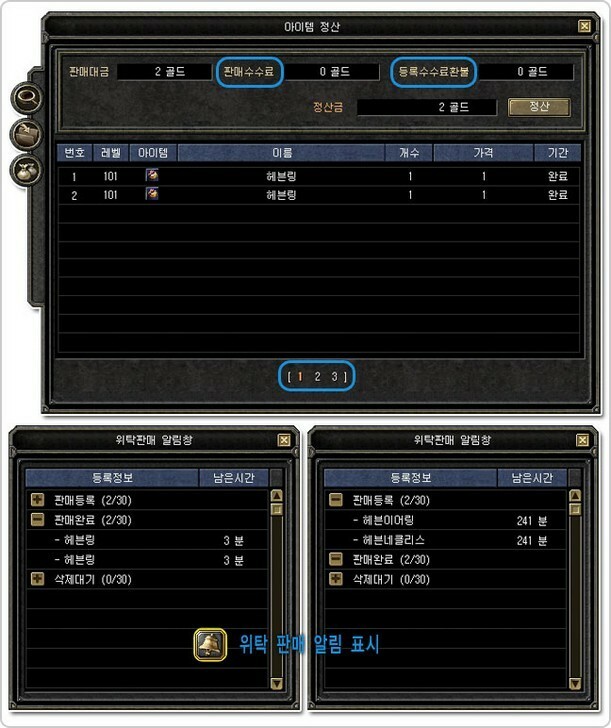 yay no more lag in towns and you won't dc now when you tp to hotan, altough everyone will be at that warehouse NPC guy. Btw, if you log off will the registered items still stay there? and when you log back you could check if you have sold them?